Adamo Spinal Disc was the first product Applied Veterinary Technology, LLC embraced for dogs with “disc associated wobbler syndrome”. 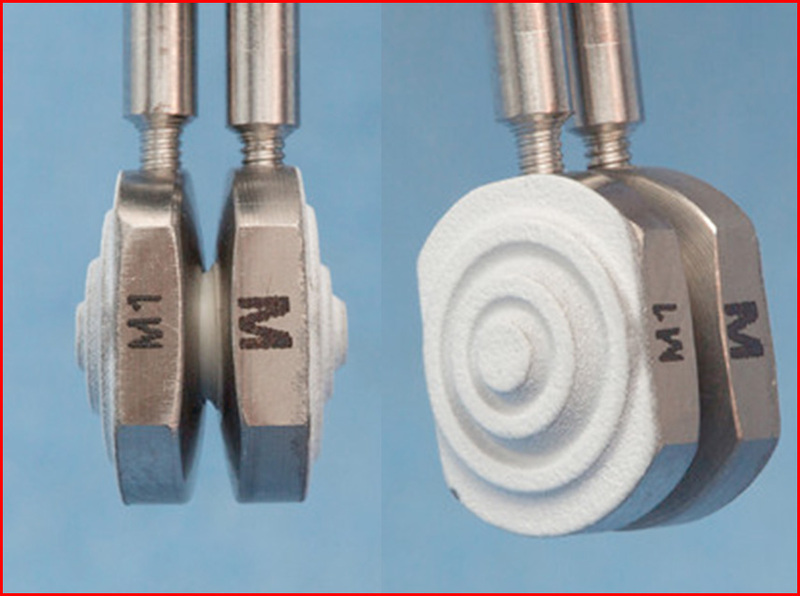 The idea of creating an the Adamo Spinal Disc for dogs came to Dr. Adamo, in 2003, when he was faculty as Clinical Assistant Professor in Neurology/Neurosurgery, at the School of Veterinary Medicine “University of Wisconsin“ Madison, Dr. Adamo, noticed that great progress were made in people with cervical disc diseases by using artificial disc implantation. Dr. Adamo also noticed that dogs, particularly large breed, have a cervical disease, called “disc associated wobbler syndrome” also called “wobbler syndrome”, which are many similarities to a counterpart cervical disease in people called “cervical spondylomyelopathy”. In people, cervical spondylomyelopathy is best treated with spinal cord decompression and insertion of an artificial disc to provide distraction and mobility at the treated site, this is called cervical disc arthroplasty (CDA). Dr. Adamo believed that dogs with disc associated wobbler syndrome could also benefit from CDA. However, the cervical prostheses available for people were too large to be applied in dogs, and too expensive for the application in veterinary medicine. 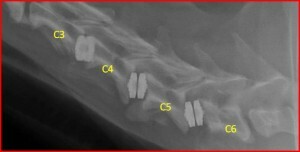 Consequently, a new cervical disc dedicated to the canine cervical spine had to be created, at a cost affordable to most of the pet owners but because of the limited market and the low expected revenue, there were no companies or investors interested in founding this project. In 2011, a pilot clinical study in two dogs affected by “disc associated wobbler syndrome” treated with CDA, showed at the 3 year follow-up after surgery, that in both dogs the disc implant successfully restored a “normal neurological status”. In the same study, the MRI repeated 2 years after the disc implantation showed no complication at the treated and at the adjacent disc site. (Study published in JAVMA 2011). 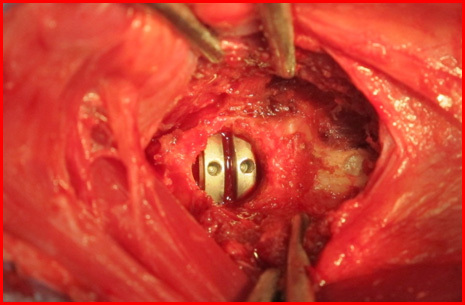 Since 2011, many improvements have been made on the canine artificial disc, additional surgical tools were created to facilitate the surgical technique, and currently a 3rd generation of the canine cervical disc is available. The CDA is now performed in many neurology veterinary centers in USA and UK. Changed the prognosis for dogs with disc associated wobbler syndrome, once poor, in good!